I was functioning, just not as I used to. I looked up the symptoms. 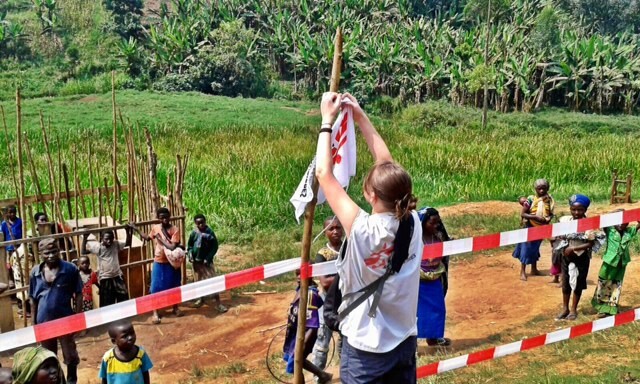 Emily is a Doctors Without Borders project coordinator who recently returned from the Democratic Republic of the Congo. I felt strange when I got back from DRC. Going by the other times I’ve come home after a mission, it’s normal to feel a bit weird when you come back, but this time it was different. I came back in mid-December. It’s always difficult to come back to Christmas after being away. The expectations, the intensity that surrounds Christmas anyway, the stark difference between coming from a place where people have next to nothing and arriving in a place where it’s all about presents and over-eating. To compound it all, we had a death in the family just two weeks before I left DRC and so I came back to a funeral and a grieving household. But that wasn’t it. The difference was my reaction, or rather lack of reaction, to it all. Of course I was sad about losing my relative. I knew I was, but it was very internal and didn’t display itself as it usually would. I knew certain members of my family needed support and love but I didn’t have anything to give. I had limited words to say and not much comfort to provide. The best I could do was spend time with them being “normal” — going shopping, going to cafes, watching television. I knew I should be doing more but I physically and mentally wasn’t able to. I had lost feeling and the ability to empathize. I was told by people that I was being insensitive and that I didn’t care. I know the signs now and looking back, I should have seen them developing years ago. I did care, I knew I did, it’s just that I couldn’t feel it or show it. In that respect, I felt numb. I also felt anger. So much of it. My immediate reaction to everything I didn’t agree with or like the sound of was to boil up inside. It took a lot to not show my mad responses to people and sometimes I did. A few angry outbursts broke bridges over the weeks. But I couldn’t work out what was wrong and decided it was nothing and just the adjustment period that you’re always faced with when you get back from the field. Me meeting with the community health workers in Kashuga, ahead of starting up our malaria clinics. After a few further weeks went by and more bridges were broken, I went to the doctor. “Anger, cynicism, detachment, feeling down, not sleeping, unable to concentrate, anxiety, negativity…” I had all of these, and others, though all to varying extents. After mulling it over and asking a few more questions, the doctor looked at me. I didn’t believe her when she told me this and I dismissed it quite rapidly. It’s a term that I think is bandied around so frequently and easily in this line of work that even the slightest tiredness can be attributed to burnout. For me, burnout was in someone who literally could not function anymore, which wasn’t me — I was functioning, just not as I used to. I was told to look up the symptoms. Apart from the ones listed above, there was depersonalization, tick; loss of enjoyment, tick; isolation, tick. The list went on. For physical symptoms, chest pain, dizziness and headaches were some of the common ones I had every now and then in the field, but which I had dismissed at the time as run-of-the-mill stress. Although it took a while to acknowledge I may have burnout, once I had, it gave me a direction. At least now I had something to work with. The most difficult for me, apart from the anger and inability to empathize, was the isolation, loss of enjoyment, and impaired concentration. A ‘people person’, highly motivated, and very organized are three traits I am known for. However, on coming back from DRC, I found myself wanting to avoid meeting new people and also socializing with people I knew well. I also remembered how hard I found it to get daily tasks done towards the end of my mission, and to write a handover for my successor in the project — something I usually spend a long time doing to ensure it is well structured and covers all details. I just couldn’t bring it all together in my head. It’s also true that I haven’t been able to read a book or watch a film for months. I have started about seven different books in the last year and not finished any of them, and my attention span only lasts as long as a 20 minute sitcom. And the worst: I couldn’t even write a to-do list. The pessimism and lack of enjoyment extended to working abroad again. The thought of going overseas and being faced with another difficult place and a ton of responsibility sounded really uninspiring to me. In fact, just getting up for tomorrow I lacked enthusiasm for. I had no excitement left. I read somewhere that burnout occurs when passionate, committed people become deeply disillusioned with a job or career that has previously provided them with identity and meaning. This work has defined me for nearly a decade. I have spent my entire working life chasing after opportunities, jumping into new job after new job and spending a lot of time in difficult places with significant responsibility. Stuck on a base, often working late, an early evening curfew, and sleeping just a few metres away from your office, you have no choice but for this to become your life. As a result, your personal life back home suffers and, as it can feel, your sanity. There’s no ‘cure’ exactly, for burnout, but the good thing is it can take just a short time to recover if you put the right things in place. It’s just a matter of taking time out and removing yourself from the stress triggers that have been identified. It requires a lifestyle change. Counseling can also help, I’ve been told. For me, getting out of DRC was already a step in the right direction, and once I was home, moving back into my own flat to have my own space and live on my own timeframe was another. I ordered books and read articles online to try and become a master of my madness. Apart from that, I had an overwhelming urge to be part of a community, part of somewhere I belong. “What do you want?” someone very close to me asked when I was at a low point. So using this, I have deliberately narrowed my world considerably. I, maybe selfishly, don’t want to think about the grand scale of things and everything going on out there (especially at the moment) — I just want to concentrate on my immediate surroundings. My life and world exists now between London zones one and two. I now take part in the weekly park runs near my flat, and every now and then I volunteer at them. I’ve joined the gym: a membership of a local establishment! And I go to the classes a few times a week: exercise and community. Exercise, by the way, is another move in the right direction. I also try to set myself some kind of routine: breakfast, coffee, part-time low-stress work in the morning, gym and friends in the afternoon and evening. I don’t need to worry about the problems across the globe if I don’t want to. I don’t have to think about negotiating access with armed groups for tomorrow’s follow up visit to our health post; I don’t have to worry about a potential imminent security threat from ethnic based conflict that we could get stuck in the middle of; and I don’t need to worry about whether my actions have an immediate impact on someone’s life being saved. I just have to get up, carry out my few tasks of the day and then come home. No drama, no fuss, and surrounded by fun and like-minded people. People can think burnout is just about over-work. I certainly did. But it turns out it’s not. There are a lot of ways of defining it. One of my favorites, and to simplify it, is it can come from any situation where we put in our everything. It can come from having to deal with a lot of high stress things at the same time. For me it’s likely been cumulative: a mixture of working for a number of years in difficult places without much break in between, the heavy workload and high responsibility combined with the constant exposure to difficult situations and the want to make as much of a difference as I can but without that always being possible. Plus difficult working relationships that can crop up, joined with the constant feeling of not being safe or not knowing if you’re safe, so that even when in reality you are, you start to doubt it. This, combined with various stressors in my personal life over the past 18 months gradually added to the blocks of pressure falling on me bit by bit until my brain and body could no longer handle it. Burnout crept up on me without me being aware. In fact, almost no one saw it. On the outside and to people who didn’t know me, I seemed fine — I put on a good show. Even the most experienced people who had been in the field for years and had probably come across burnout multiple times, didn’t spot it — they just thought I was a bit irritable and short-tempered. Only those who really knew me well suggested something was wrong. And I, myself, who had heard of burnout before and assumed it was a term reserved for severe cases, had no idea. I was a slow burner, it seems. 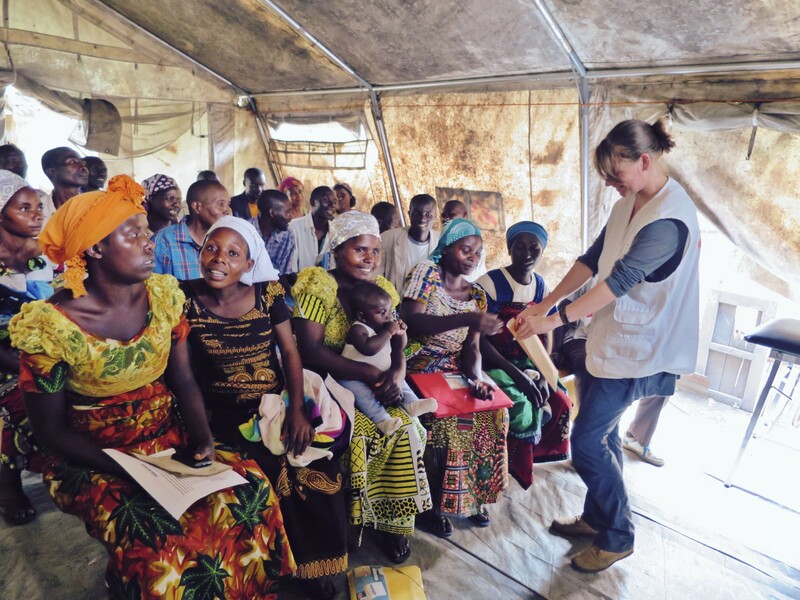 Working for MSF, our focus is always on the people we are working with: our patients and their communities. It always will be. It’s why we do it. To continue to do that, we need to look after ourselves too — something many of us neglect. It’s been over two months since I got back and by having this break, by putting a simple change of lifestyle in place and with the help of MSF, I feel more ‘normal’ again. My to-do list is finally back and growing by the minute. MSF is a great organization when it comes to looking after its staff. There can be stigma attached to issues like this, which is why I wanted to write this blog, but at MSF I don’t feel that. I’ve learned a lot through this process. I know the signs now and looking back, I should have seen them developing years ago even. Instead, I ignored them all and kept going; mission after mission, stressor after stressor. Although they say there’s no cure for it, they do say that burnout demands that you listen. I, now that I am aware, am listening and will continue to listen hard, ready to spot the signs in myself and others I may come across in a similar situation in the future. Read more of Emily’s posts from the field. 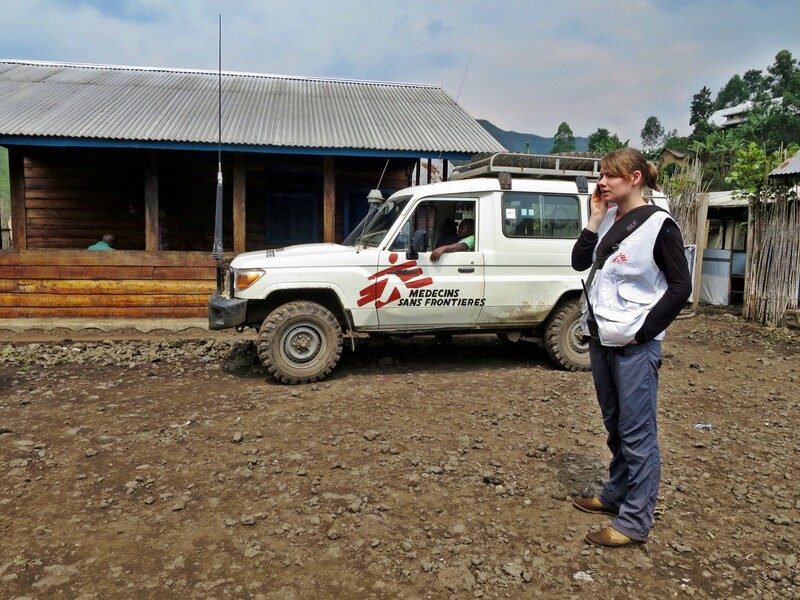 If you are an MSF field worker and think you may be experiencing burnout, remember there is support available. Contact your human resources officer or the staff health unit in your home office or OC.